Plans have been unveiled for nearly 30 turbines on a Mearns estate. Developers Coriolis Energy and utility firm ESB said yesterday the 50 megawatt (MW) Glendye onshore wind development could deliver “significant new additional onshore wind capacity” to the region. But the local community last night expressed concern that the transmission link for the 26 turbine project could run through beautiful local countryside. The proposed site, on the Fasque and Glendye Estates, sits within the Aberdeenshire Council area, less than two miles from Fettercairn. Chair of Feughdee West Community Council, Simon Richards, last night expressed concern over developer plans for the transmission link to the site. He said: “We get a say in the application for the transmission link but the export route decision comes after the windfarm is approved. Mr Richards is concerned the other potential route could run directly across the landscape to connect with the Mid Hill Windfarm, near Stonehaven. 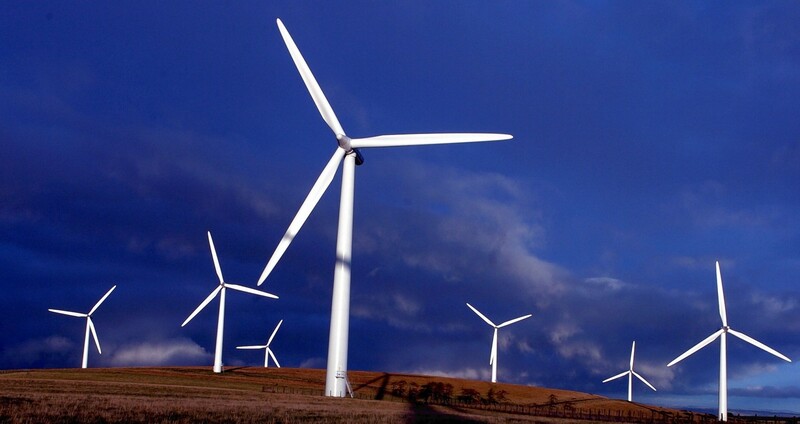 Irish utility firm ESB said the onshore wind project represented a significant investment of around £100 million. A spokesman for the firm added that “30% of that investment could be spent in the wider local community”. “Coriolis Energy and ESB are keen to understand the views of the local community in relation to both community funding and shared ownership. A local consultation is due to take place across Aberdeenshire to gauge public opinion on the project. Construction of the Glendye Windfarm is due to commence in 2023. Alexander Burnett, Scottish Conservative MSP for Aberdeenshire West, said: “This development has already proved controversial, with significant local opposition in the first stage of the process. “The Scottish Conservatives believe that local communities should be given a much greater say in the planning process for developments like this.